One of the exciting new trends in the automotive market is wrapping a car. It allows a consumer to change the color of the car relatively easily while preserving the OEM paint. Changing the color on a car can cost upwards of $4,000 or more and take a full week, while wrapping a car can often be done in an afternoon for less than $1,000. Meguiars has introduced a new product called Wraptivo, which is a series of designer car wraps that can be applied to any car. They have a bunch of cool colors and designs, but their flat colors have been the most popular in their pre-launch phase. Through some phone calls, I was able to line up a pair of the cars for separate photoshoots. I met up with Peter from Vorsteiner and Brett Coca in Irvine where we cranked out both shoots in record time. For Peter’s BMW, we chose a commercial complex with a draub red tone to it, which should help add some contrast to the simple color spectrum of the BMW. When it came time to shoot Brett’s car, we simply moved down the street to another commercial area which included some blue tints, again providing some contrast against Coca’s car. 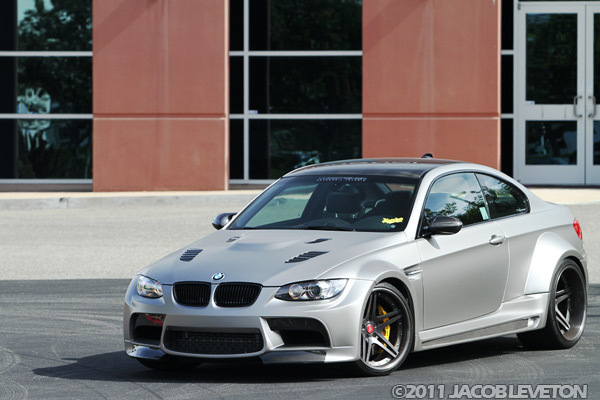 First up was Vorsteiner’s E92 M3, complete with an Active Autowerkes supercharger, full Vorsteiner aero and wheels, Brembo brakes, and a matte silver colored wrap. This car will be featured in Performance Auto and Sound magazine. 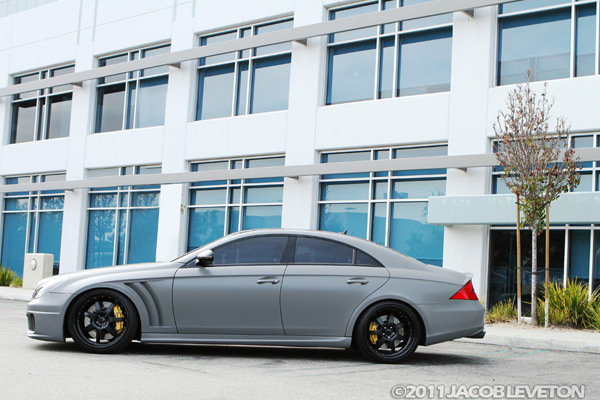 The second car was Brett Coca’s Mercedes CLS. If this car looks familiar, it’s probably because this car was originally white and built by RJ DeVera. DeVera sold the car to his good friend Coca, who changed the look up with a matte battleship grey wrap that really goes well with the black and carbon accents. This feature hasn’t been comitted to anyone just yet, but has interest from several outlets. This entry was posted on Saturday, March 19th, 2011 at 8:49 pm	and is filed under Feature Car, Magazine Feature. You can follow any responses to this entry through the RSS 2.0 feed. You can leave a response, or trackback from your own site.